Competitions > WIN a crafter's kit! You could win one of two exclusive die-cutting and embossing starter packs from Crafter’s Companion. 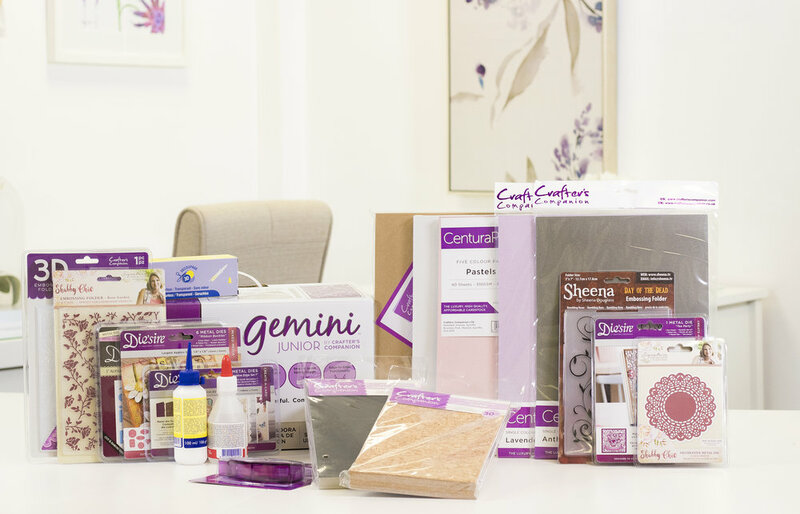 Each winning bundle will contain a Gemini Junior die cutting machine and a huge selection of exciting dies, folders, cardstock and adhesives – everything you need to create beautiful cards, boxes, home accessories and more! WIN a prize crafter will love! WIN an airer, ironing board and cleaning set!